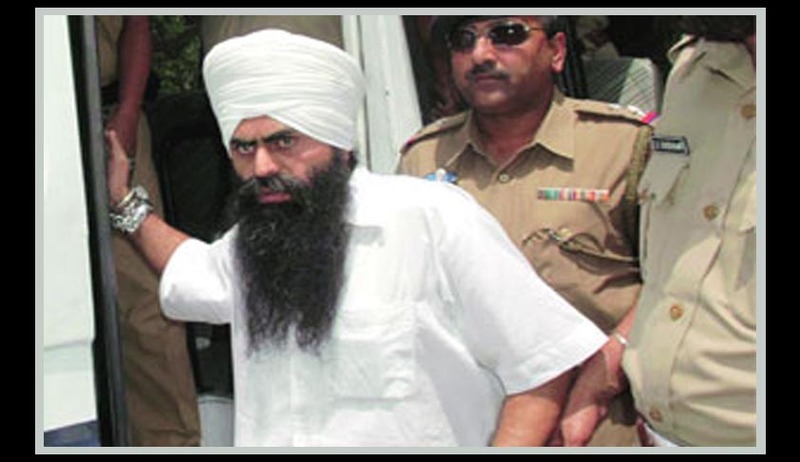 A Supreme Court bench comprising Chief Justice P Sathasivam and Justices R M Lodha, H L Dattu and S J Mukhopadhaya stayed the execution of Khalistan Liberation Force militant Devinder Pal Singh Bhullar, who is on a death row after being convicted in the 1993 Delhi bomb blast case and agreed to review its judgment by which it had rejected Bullar’s plea to commute his death sentence to life term. The four-judge bench of the apex court also issued notice to the Centre and Delhi government on a curative petition filed by Bhullar’s wife Navneet Kaur. Bhullar who is allegedly been suffering from a mental illness and is undergoing treatment at the Institute of Human Behavior and Allied Sciences (IHBAS), has been asked by the apex court to file a medical report within a week on his health condition. As per Live Law reports earlier, a three Judge Bench of the Supreme Court issued landmark guidelines relating to Death Penalty, while allowing all the 13 Writ Petitions filed by 15 Death Convicts in various cases. The Bench consisted of Chief Justice P.Sathasivam, Justice Ranjan Gagoi and Justice Shiv Kirti Singh which commuted the death sentence imposed on Suresh, Ramji, Bilavendran, Simon, Gnanprakasam, Madiah, Praveen Kumar, Gurmeet Singh, Sonia, Sanjeev, Sundar Singh, Jafar Ali, Magan Lal Berala, Shivu and Jadeswamy. The Supreme Court also overruled the two judge Bench Judgment in Bhullar case, which had held that a death sentence imposed on a prisoner who was convicted for a terrorist act cannot be commuted on the ground of delay. Days after the apex court gave this ruling, it is now ready to assess its own judgment relating to commutation of death sentence to life term on the ground of delay in deciding the mercy plea, that whether it is applicable in the case of Bhullar. According to another Live Law report, in Devender Pal Singh Bhullar v. State Of N.C.T. Of Delhi the convict had appealed to the President for clemency in 2003. The President, after a lapse of over eight years, dismissed his mercy plea in 2011. Bhullar had sought commutation of his death penalty to life sentence by the Supreme Court on the ground that there was inordinate delay by the President over his plea for clemency. A two Judge Bench [G.S Singhvi and S J Mukhopadhaya.JJ] by an order dated 12th April 2013 dismissed his plea holding that long delay as one of the grounds for commutation of the sentence of death into life imprisonment cannot be invoked in cases where a person is convicted for offence under TADA or similar statutes. Two weeks later in Mahendra Nath Das v. Union of India the same bench held that the convict’s death sentence could be commuted to life imprisonment because much of the inordinate delay of 12 years in the rejection of his mercy petition by the President was unexplained, and therefore, inexcusable. However, Bhullar’s case got a new direction, with the larger bench verdict clarifying earlier this week that unexplained and undue delay in deciding a mercy plea, as well as mental illness of a condemned prisoner, were satisfactory grounds to commute the death sentence. Last week, Senior Advocate K T S Tulsi, appearing for Bhullar’s wife, mentioned the matter and pleaded the court to direct his medical examination since he was suffering from mental illness. The court willingly agreed to rush the hearing.